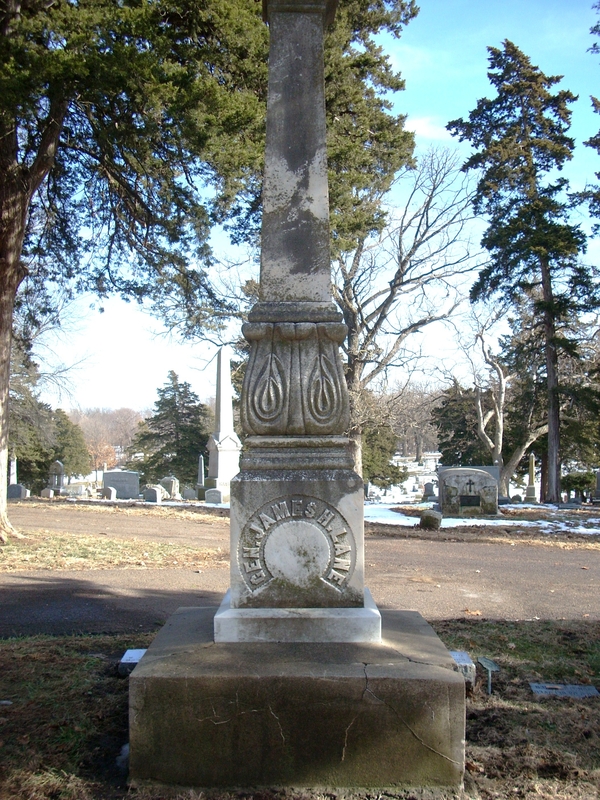 Additional Description: James Lane is buried in Oak Hill Cemetery in Lawrence, Ks. His name was among 12 that appeared on a "death list" of prominent figures that the rainding figures were after. Stories have it that James Lane either escaped in an outhouse or in a cornfield.